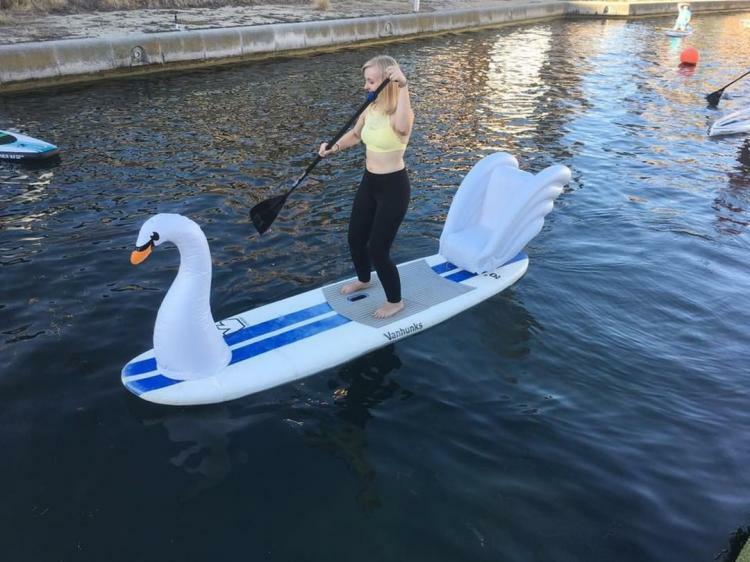 When ever paddle-board, I'm not really looking to exercise all that much as it's more of a way to get away from society and relax. 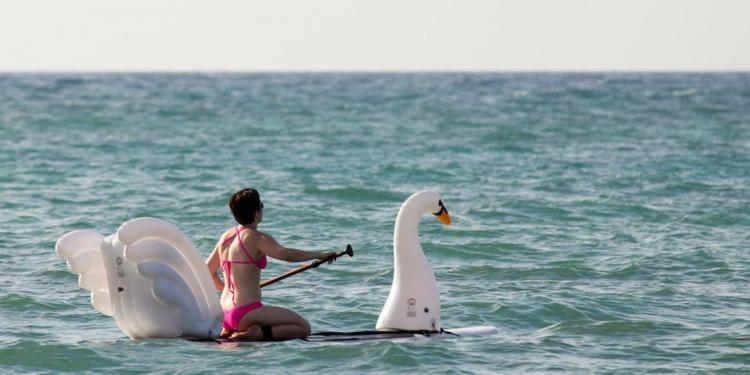 Though, with paddle-boards designed the way they are, you can just sit back, and enjoy a frosty beer while you're on one. 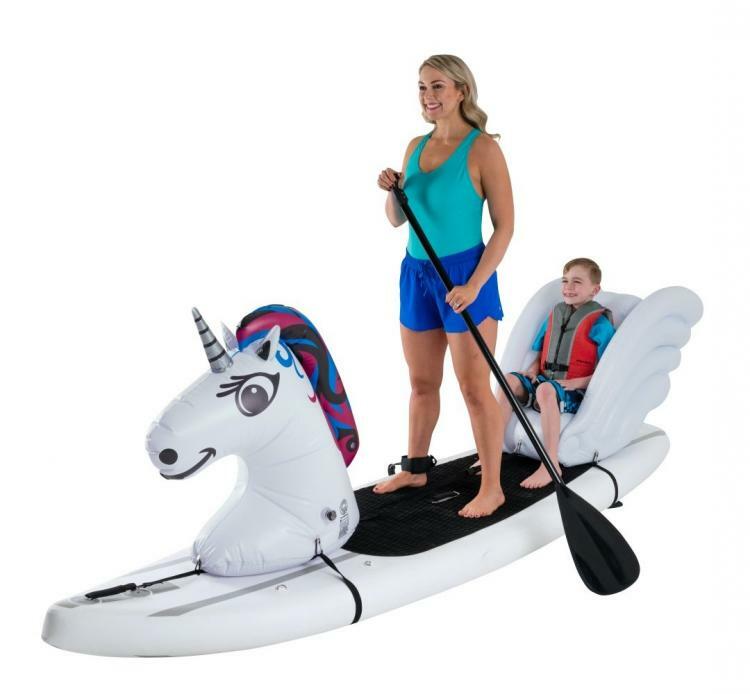 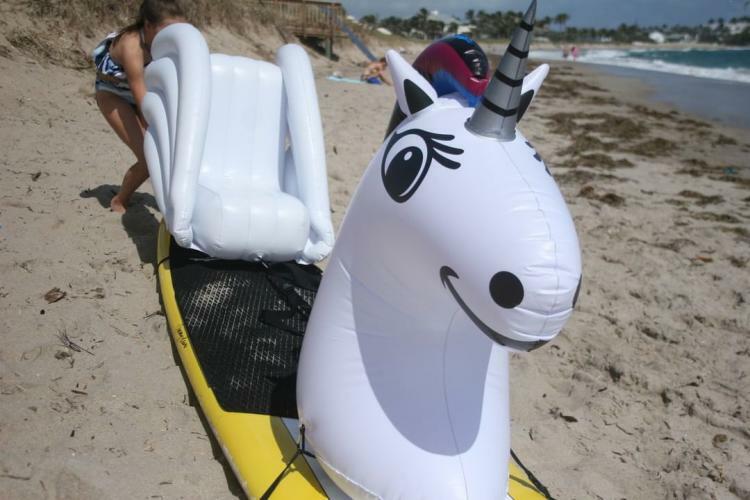 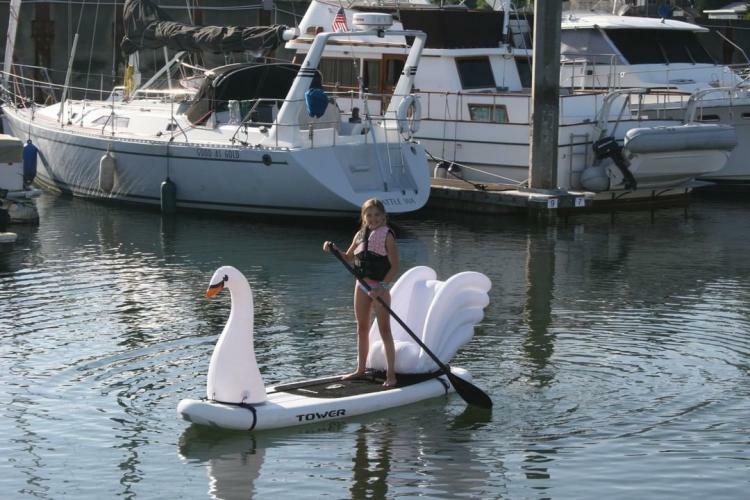 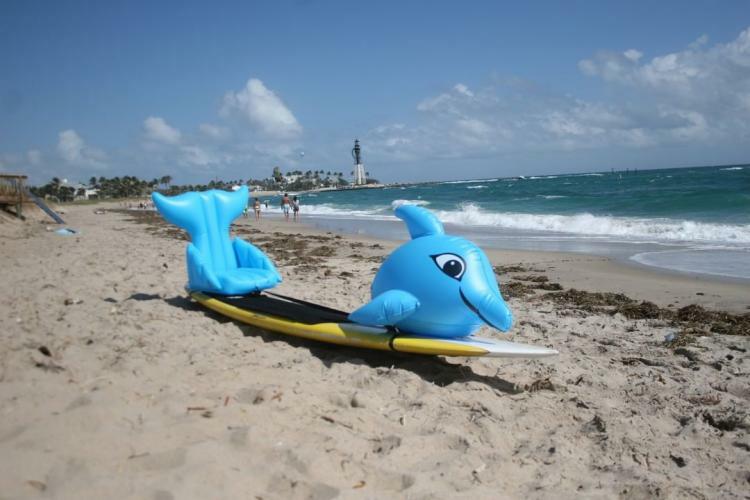 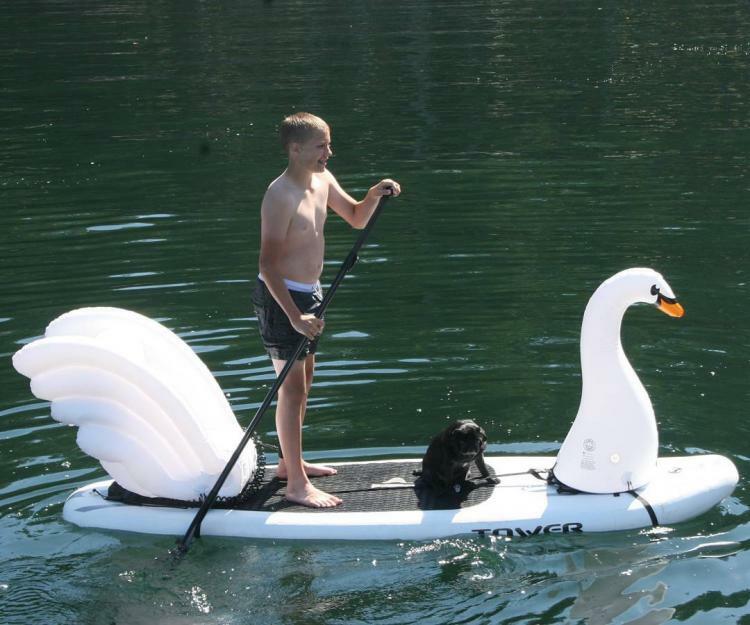 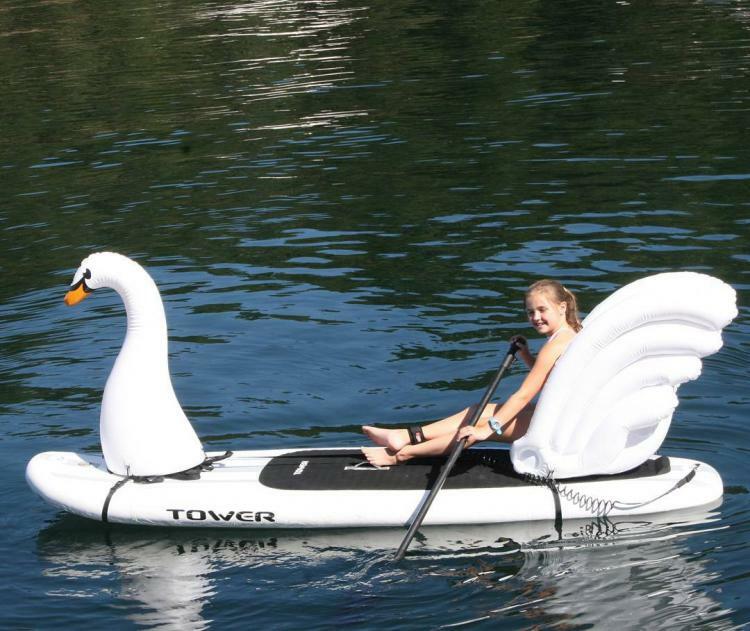 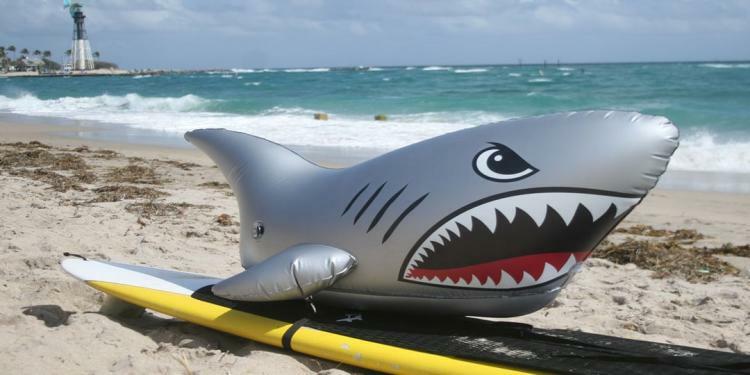 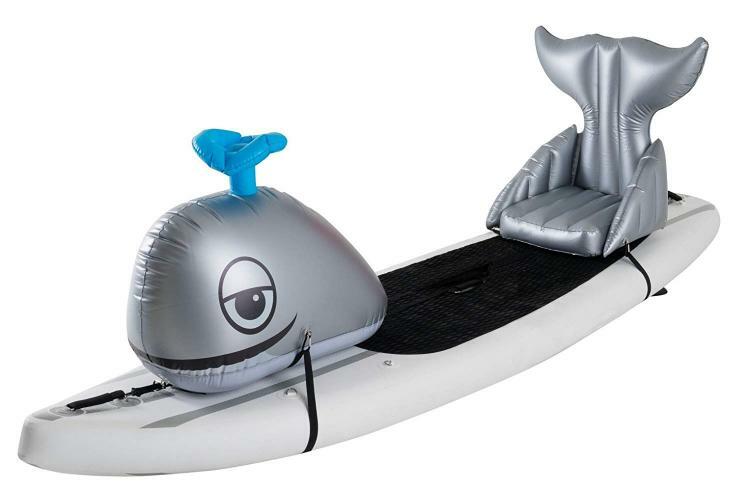 Luckily, someone has invented these inflatable attachments that go onto your paddle-board, and not only provide a comfy seat for you or another passenger to sit on, but it also turns your board into a unicorn, whale, shark, swan, and more. 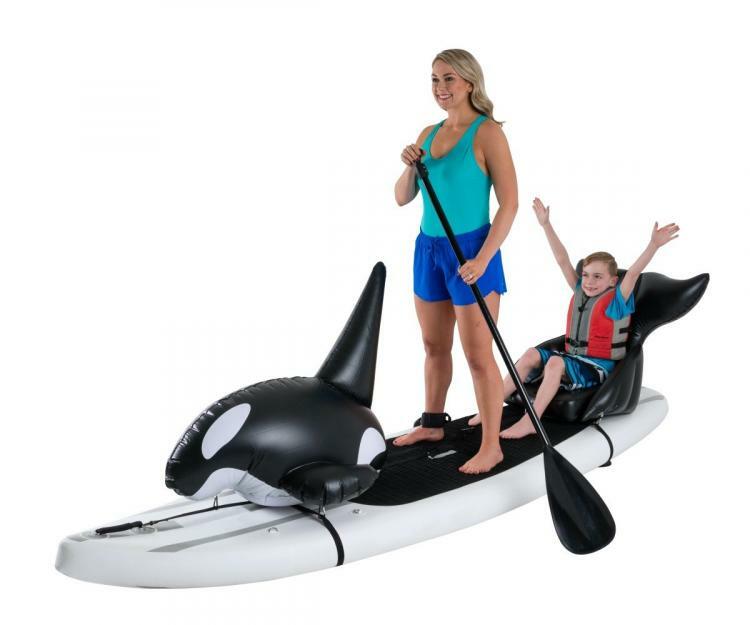 A perfect way to paddle-board with your kid, the Stand Up Floats as so they're called, attach right around your existing paddle-board with two different parts, one for the head of the animal, and one for the back of the animal which usually forms a small chair. 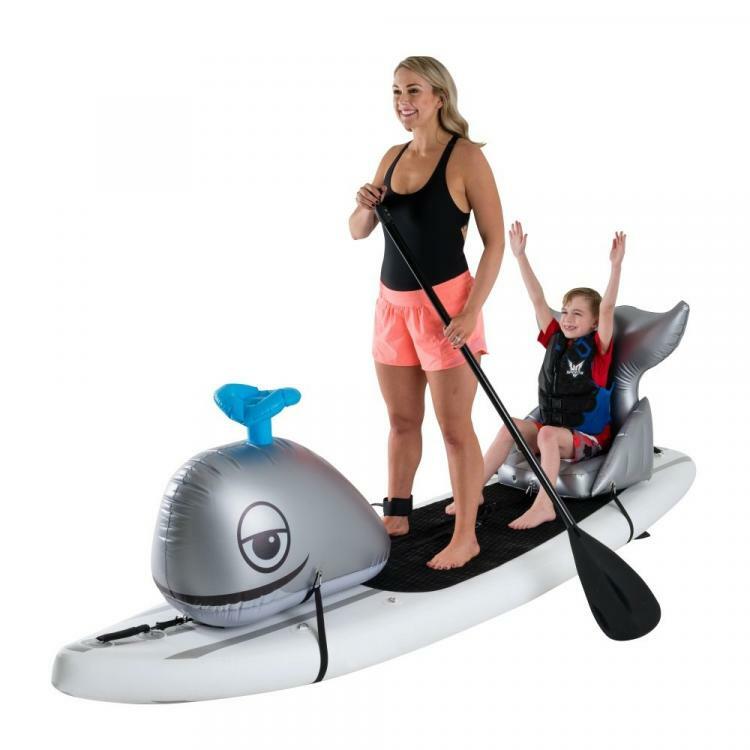 Not only will these inflatable animal SUP attachments help get more use out of your paddle-boards by your family, but it'll also help promote family time and inspire kids to get more exercise. 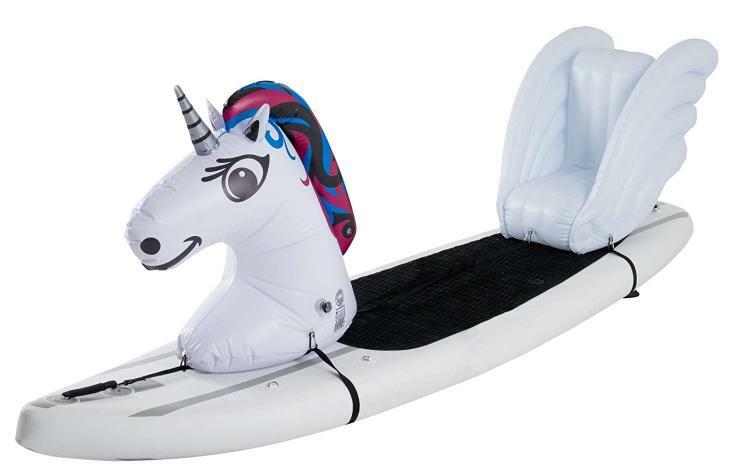 Though, if you're like me, you'd probably use it by yourself to head out onto the lake (without the family) to drink a beer and relax in-between a set of unicorn wings. 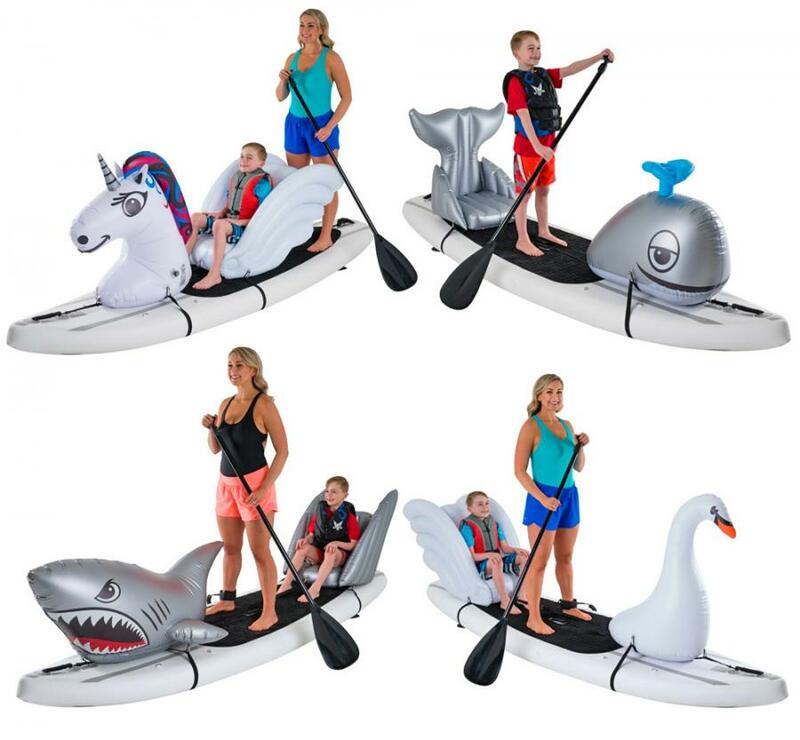 The shark, unicorn, whale inflatable paddle-board floats attach to your board with very quickly and with very little effort using the included straps. 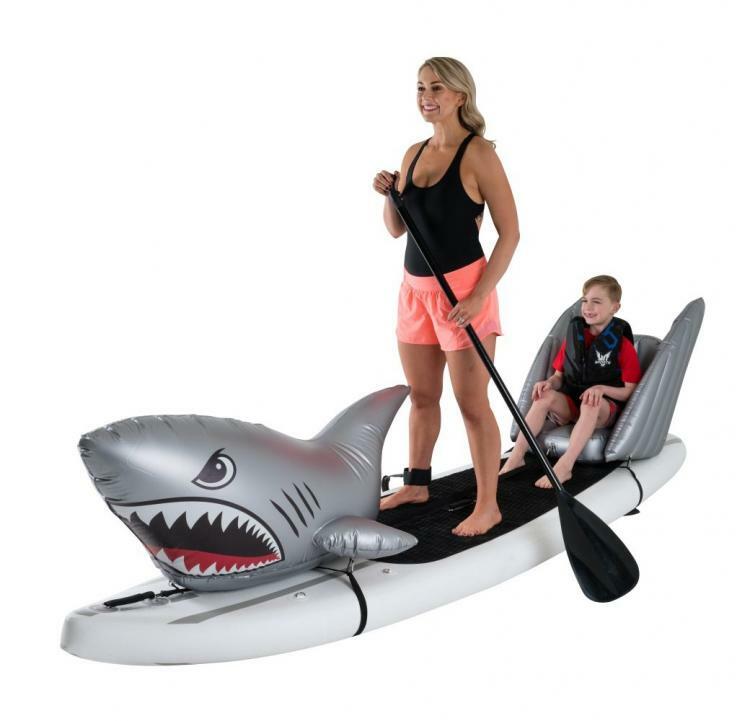 It uses a universal harness that is able to connect to any paddle-board. 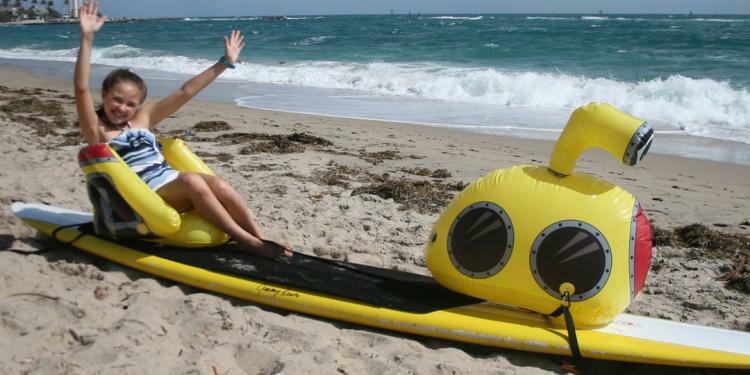 The floats also are removed from your paddle-board very quickly when you're done using them. 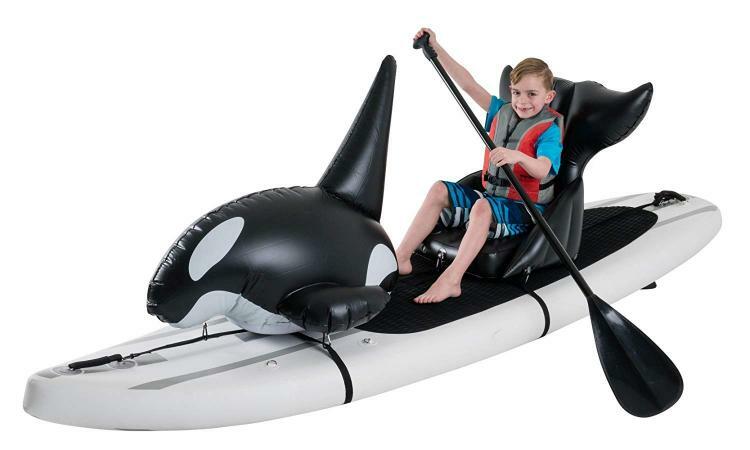 The seat on the inflatable paddle-board floats are able to hold up to 220 lbs and measures approximately 13 inches wide (though the sides flex outwards) so it can comfortable seat kids and most adults. 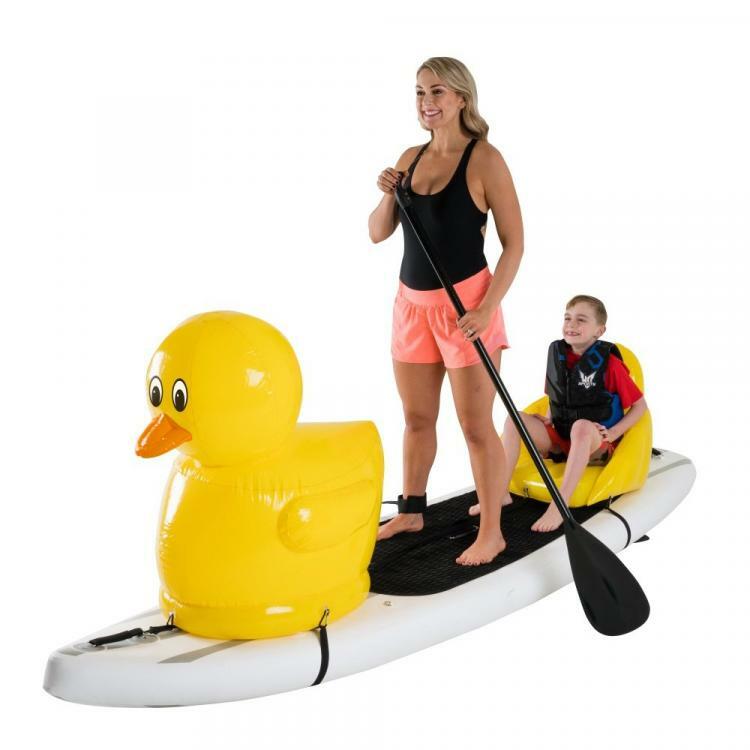 The floats can be securely attached to both inflatable and hard paddle-boards. Each of the stand up paddle board animal floats will measure a bit differently depending on which one you get, each one comes with a patch kit in-case of accidental punctures or leaks, and each one comes with harnesses and instructions on how to install it onto your board. 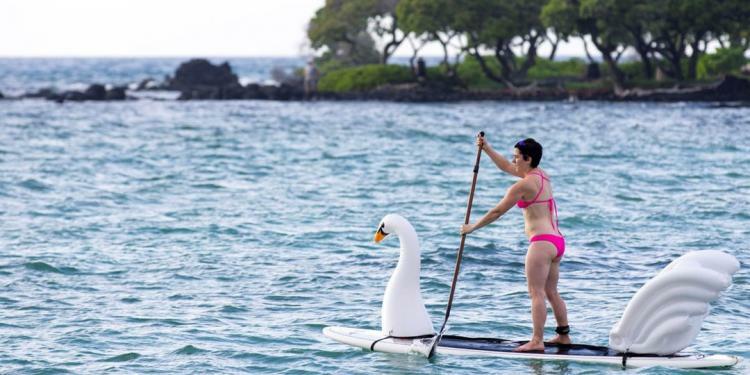 Check out the stand-up paddle-board animal floats in action via the video below.